Microsoft has released a blog post on the Surface Pro stock issue, saying that units will be available in the US and Canada next week. The lack of stock is questionable, while Microsoft would have you believe it is high demand, many argue Surface Pro stock was at a minimum amount. Many companies are now doing this to build hype on the product. If a product sells out in stores, it is deemed by many as a success, and thus many people hop on believing the Surface Pro to either be impressive or to follow the crowd. Best Buy, Staples and the Microsoft store have all sold out of Surface Pro stock on the 64GB and 128GB units. The 64GB version will be available sometime tomorrow or the next day in stores, but for more storage you will have to wait another week. Supply issues are becoming more common as markets become dense and companies cannot analyse the margins properly. The example that most properly fits this is the Nexus 4, with huge demand and limited stock for almost four months. Microsoft shipped about 1.25 million units of the previous Surface model, running Windows RT. The Surface RT was cheaper and Microsoft expected three million units sold before the end of 2012, but the sales panned. We believe Microsoft has shipped less than 1 million Surface Pro units, deciding against a large launch. 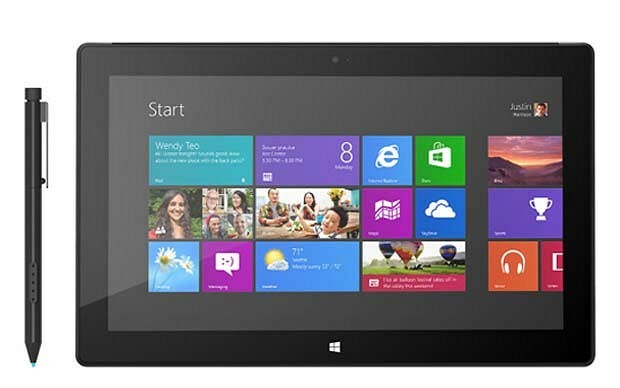 The Surface RT was released with Windows 8 to provide more hype for the new operating system and tablet. Many fans are hoping the Surface Pro stock issue clears up soon and we are clearly seeing a more positive analysis of the excitement and appreciation of this device, compared to the Surface RT. This is the product that Microsoft should have made all along, a solid PC with the form factor of a tablet. Windows RT and the Surface RT may be have been a bummer for the company, but the Surface Pro shows real promise.